In addition to exceptional features on the 2019 Mirage G4, our Concord, New Hampshire Mitsubishi dealership strives to provide incredible service, and fair, honest pricing. When you purchase with Lovering you get the benefits of free NH state inspections for as long as you own the vehicle, $19.95 oil changes, and Mitsubishi's 10 year/100,000 mile warranty. Allow our expert sales team to assist you in finding the perfect Mitsubishi vehicle for you. With ample legroom, plenty of trunk space to store your things, plus the ultimate convenience of a pass-through so you can reach it all from the backseat, Mitsubishi's Mirage G4 is the right size for any city adventure. 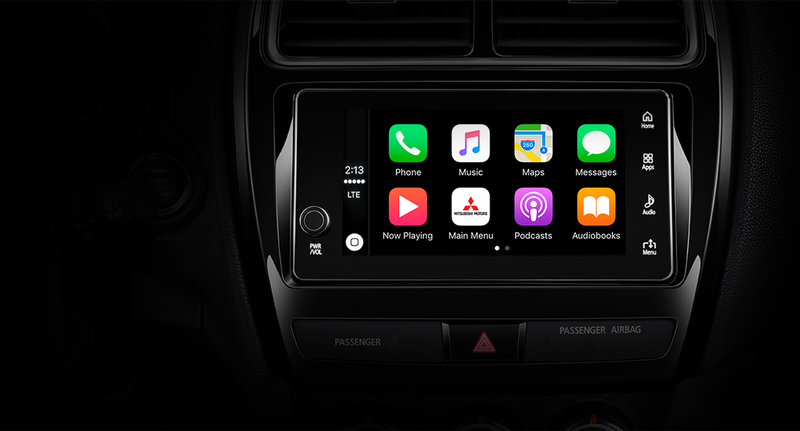 The available Smartphone Link Display Audio is compatible with Apple CarPlay™. That means you can answer calls and texts, get directions, and stream music from your favorite apps. Simply ask, and Siri will do the rest. 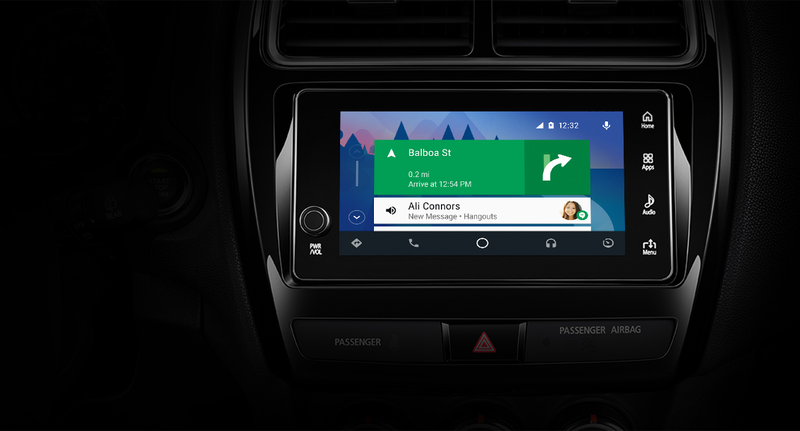 The available Smartphone Link Display Audio is compatible with Android Auto™, so you can stay connected with Google Now™notifications, Google Maps™ navigation, and stream your favorite music with apps like Google Play Music—all through the touchscreen or by voice control. 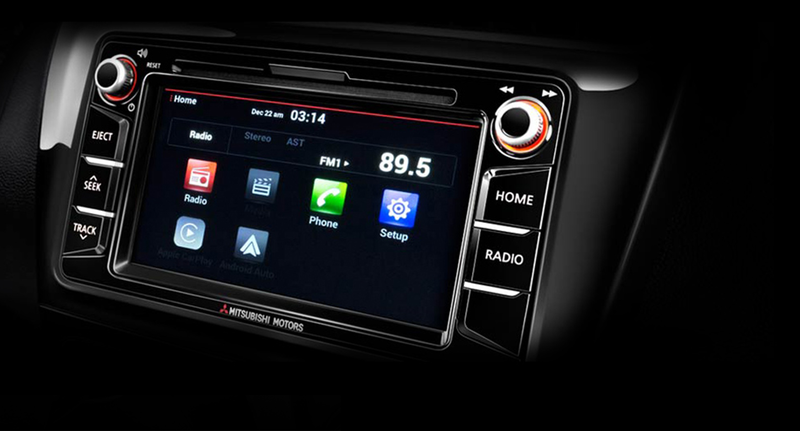 From a touchscreen display audio system to Bluetooth, keyless entry, and a rearview camera, Mitsubishi Mirage G4 packs a punch with standard modern tech—at an incredibly affordable price. The standard Bluetooth wireless system seamlessly connects your Mirage G4 with your phone and most audio streaming devices, so you can take your playlists along for the ride. We stand behind what we build. Period. Our vehicles are backed with a 10-year/100,000-mile Powertrain Limited Warranty, a 5-year/60,000-mile fully transferable New Vehicle Limited Warranty, a 7-year/100,000-mile Anti-Corrosion/Perforation Limited Warranty and 5-year/Unlimited Miles Roadside Assistance. Like our cars, we intend to serve you well for many years to come with some of the most comprehensive warranties in the industry. WHICH MIRAGE G4 IS RIGHT FOR YOU? Touch panel display audio system. Remote keyless entry with panic feature. Rear seat center armrest with cup holders. Smartphone Link Display Audio System. FAST-Key passive entry system with push button start. 15" dark chrome alloy wheels. Looking For More Mitsubishi Mirage Information? Our Mitsubishi dealership located in Concord, NH servicing Manchester, Nashua, and beyond is prepared to assist you in finding the perfect new or used Mitsubishi. Our team of qualified individuals can help you choose which Mitsubishi model will work best for your needs and lifestyle and then work to narrow down which trim will give you all of the features and options you are looking for. Additionally, we have exceptional Mitsubishi lease and finance options available and can work with your budget to get you driving your next vehicle. Speak to one of our Mitsubishi experts and allow us to assist you in finding a new Mitsubishi that will be the best fit for you. Schedule a test drive at your convenience and see how the Mitsubishi G4 handles New Hampshire's roads.